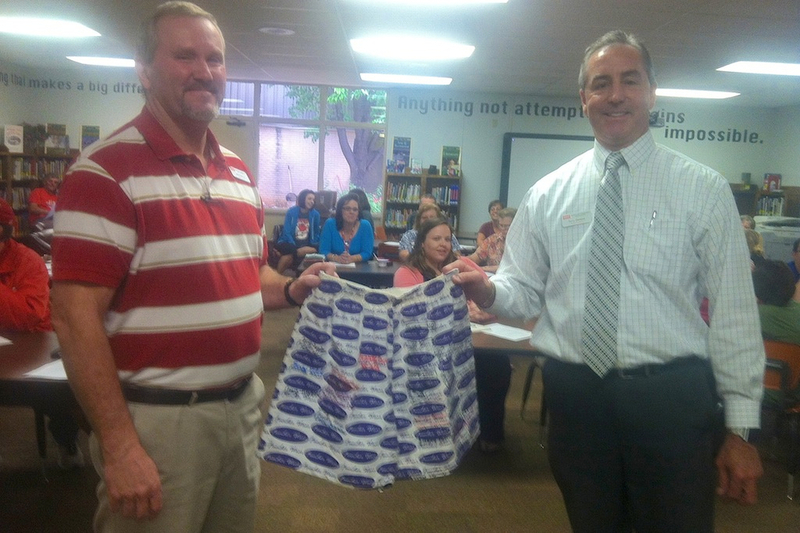 The last Funderwear recipients, the Southeast PBIS (Positive Behavioral Interventions & Supports)Team, recently passed on the Funderwear award to the Sweetwater Middle School Team! The Sweetwater Middle School Team recently started an 'I Believe' campaign that was supported by the entire campus team. This positive effort also impacted the community with the 'I Believe' signs posted on Lamar Street. Congratulations to the successful SMS Team for bringing joy to SISD!